The U.S. Army Corps of Engineers office at Lake Allatoona does a very big job very well. Whether it’s maintaining campsites and keeping day-use areas clean or keeping visitors safe, they do it all — including keeping boaters informed about boat ramp elevations. Their data about boat ramp elevations on Lake Allatoona alerts folks to where they can or cannot launch their boats, before they get to the lake. When the lake is low, boat ramps are closed. That save propellers, hulls and expensive repairs. 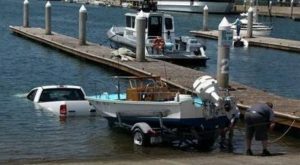 Checking your favorite boat ramp before you hit the water might save you time and money.